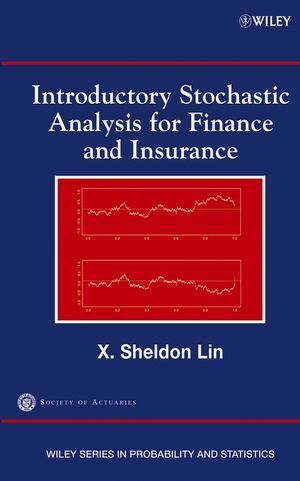 Introductory Stochastic Analysis for Finance and Insurance introduces readers to the topics needed to master and use basic stochastic analysis techniques for mathematical finance. The author presents the theories of stochastic processes and stochastic calculus and provides the necessary tools for modeling and pricing in finance and insurance. Practical in focus, the book's emphasis is on application, intuition, and computation, rather than theory. Consequently, the text is of interest to graduate students, researchers, and practitioners interested in these areas. While the text is self-contained, an introductory course in probability theory is beneficial to prospective readers. The final two chapters, Stochastic Calculus: Advanced Topics and Applications in Insurance, are devoted to more advanced topics. Readers learn the Feynman-Kac formula, the Girsanov's theorem, and complex barrier hitting times distributions. Finally, readers discover how stochastic analysis and principles are applied in practice through two insurance examples: valuation of equity-linked annuities under a stochastic interest rate environment and calculation of reserves for universal life insurance. Throughout the text, figures and tables are used to help simplify complex theory and pro-cesses. An extensive bibliography opens up additional avenues of research to specialized topics. Ideal for upper-level undergraduate and graduate students, this text is recommended for one-semester courses in stochastic finance and calculus. It is also recommended as a study guide for professionals taking Causality Actuarial Society (CAS) and Society of Actuaries (SOA) actuarial examinations. X. SHELDON LIN, PhD, ASA, is Professor of Actuarial Sciences in the Department of Statistics, University of Toronto. He is an Associate of the Society of Actuaries and an Associate Editor for North American Actuarial Journal and Insurance: Mathematics and Economics. Dr. Lin's research interests include mathematical finance, actuarial science, and applied probability. He is an author or coauthor of more than 40 research papers in these areas. He jointly received two annual prizes of the Society of Actuaries in 1998 and 2004 for his research in actuarial science. 2. Overview of Probability Theory. 5. Stochastic Calculus: Basic Topics. 6. Stochastic Calculus: Advanced Topics. The book emphasizes applications, intuition, and computation rather than theory. It has been class-tested extensively in a variety of financial environments. It is written at a level which is friendly to actuaries, i.e. devoid of heavy proofs. There is an extensive bibliography at the rear of the book that serves as a primary source for new and timely publications in a constantly changing, dynamic marketplace. The last two chapters are devoted to advanced topics, such as the Feynman-Kac Formula, the Girsanov Theorem and complex barrier hitting times and two specific insurance applications, valuation of an equity-indexed annuity under a stochastic interest rate environment and calculated reserve for Universal Life. the notion of information structure and how it relates to a probability space and a random variable. the notion of conditional probability and conditional expectation, and their respective calculations.